Money issues have long been a leading cause of tension in marriages. But as college has grown more expensive, mountains of student loan debt have become particularly thorny problems for couples to work through, according to a recent report from Student Loan Hero, an online site that helps people manage education debt. More than a third of borrowers who responded to a Student Loan Hero survey said college loans and other financial woes such as credit card debt contributed to their divorce. Digging deeper, the survey found that one in eight of those divorcees, or 13 percent, blamed student loans for ending their relationship, the survey of more than 800 divorced adults found. Total outstanding student loan debt has cracked the trillion-dollar ceiling. But the numbers are more impactful when you consider that the average outstanding balance is $34,144 for the average student borrower graduating in four years. That’s up 62 percent over the last decade, according to a report by Experian, the consumer credit reporting company. In addition, the percentage of borrowers who owe $50,000 or more has tripled over the same period, the federal Consumer Financial Protection Bureau noted in a separate report. 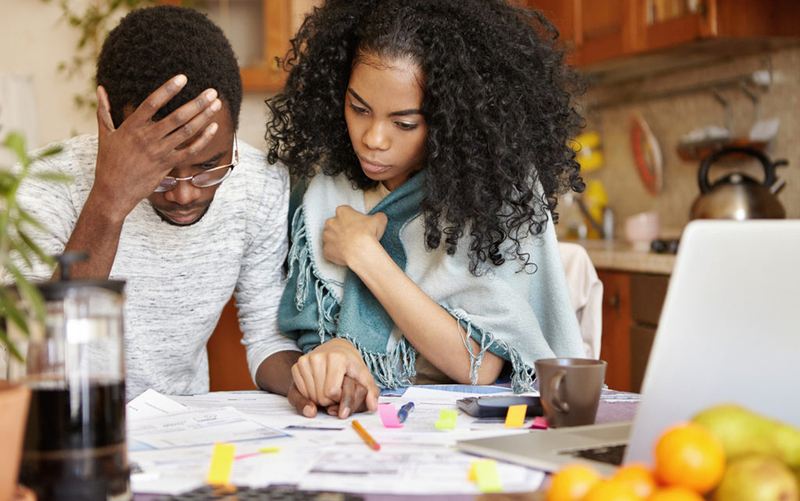 Marrying someone with that kind of student debt “feels very unfair,” and can “really hold you back” from buying a home or having children, said Jacqueline Newman, the managing partner of Berkman Bottger Newman & Rodd, a divorce and family law firm in New York. What happens to student loans in a divorce? The answer can be complicated, depending partly on the amount of debt and whether federal, state or private loans are involved. But according to CollegeInvestor.com, the bottom line is that the name on the student loan is the one that matters for repayment purposes. If both spouses have loans, the website recommends a stipulation in the divorce settlement so each person is responsible for his or her own debt. Private loans from a bank can be trickier if your spouse co-signed on the loan. However, some lenders will offer co-signer releases. Well before the overhang of college debt becomes a relationship killer, Newman said the key for a couple is to communicate and be honest, especially before tying the knot. For example, Newman advises couples to consider a prenuptial or post-nuptial agreement that specifies that the person who is helping pay down the partner’s debt would be reimbursed in the event of a divorce. “I have been told by clients that while they do not plan to divorce, it makes them feel better and less resentful just knowing that type of arrangement is set up in the event that a divorce does occur in the future,” she said. For couples who don’t want a prenuptial agreement, consider more informal arrangements about how much money in the household budget will be spent on paying down the college debt. Also take advantage of federal income-based repayment plans. The point is to make the debt payment automatic and comfortably part of the monthly budget.